Too many utility poles and electrical wires can ruin otherwise attractive scenery. 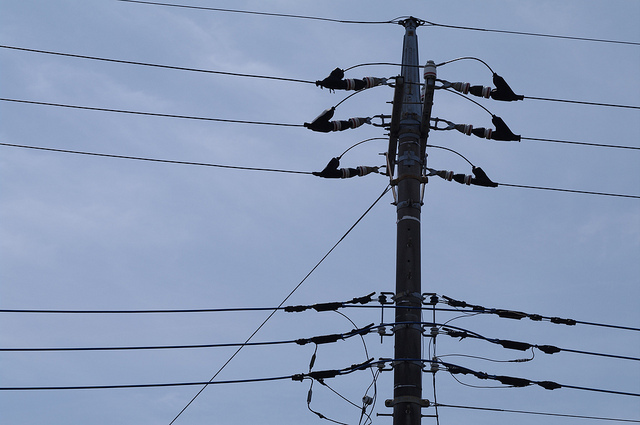 There are 35,000,000 utility poles in Japan and the number is increasing at the rate of 70,000 every year. Taking this situation seriously, the Japanese government has recently launched an initiative promoting “no poles and wires”. In addition, a nongovernmental organization is backing the project with the concepts of “beautiful scenery/sightseeing”, “safety/amenity”, and “disaster-proof”. The groups released their key visual image: Mt. 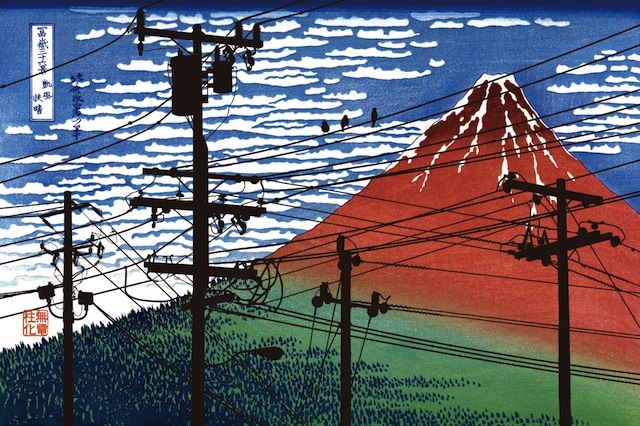 Fuji drawn in one of Hokusai’s “ukiyoe” masterpieces being obstructed and spoiled by many poles and wires. Here is the key visual image.